Joost to come embedded in set-top boxes? 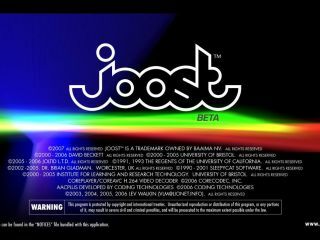 Internet TV streaming service Joost looks destined to come to a television set near you. According to a company executive, Joost is preparing to deliver content to set-top boxes for viewing on actual televisions. "You'll see Joost in the living room," says David Clark, Joost's vice president of global advertising. He hinted that the company is deep in discussions with hardware manufacturers to get Joost software included in third-party set-top boxes. It would certainly be a sensible move for Joost to head in this direction. Watching internet TV on your computer screen can surely only be a temporary solution for many. Especially as on-demand services continue their invasion into British living rooms. Streaming to a set-top box would be an agreeable solution, and would put it in competition with the rather underwhelming Apple TV .